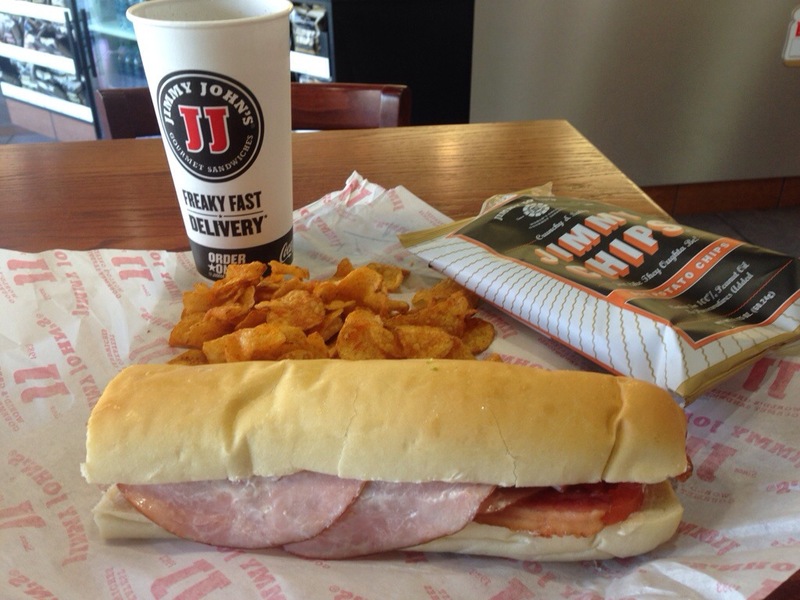 A year or so back, one of my friends asked me if I had ever eaten at Jimmy Johns. At the time, I had seen one or two, but never been to one. Then I started noticing them everywhere. Looking for a quick bite, I swung into the location near Ansley Mall. Walking in, I was greeted heartily, similar to being yelled at by the staff at Moe’s, but more out of necessity, because the music was so dang loud. Really, really loud. and on the second visit, the Ultimate Porker (ham and bacon). The first was the bread. It was excellent – I couldn’t have asked for better. Fresh, with a crispy shell and soft on the inside. Second were the chips. I’m not a huge fan of potato chips, but when I eat them, it’s almost always Lay’s barbecue. 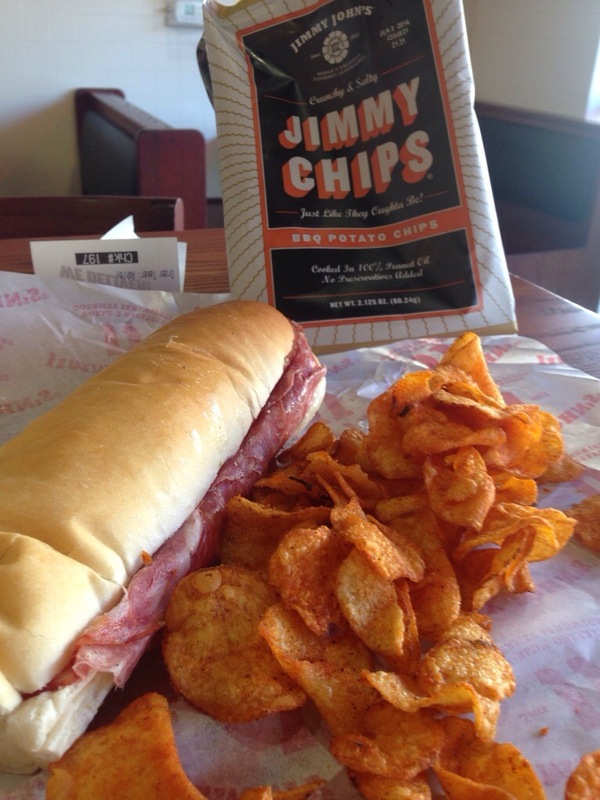 At Jimmy John’s, they have their own brand of chips. And the barbecue ones are actually better than Lays (sacrilege). They’re a little thicker, which leads to them being a little crunchier and with more taste. Two positives. Third, was the service. It was fast. That was what they cared about – being fast. On the first visit, my sandwich was given to me before I finished paying. 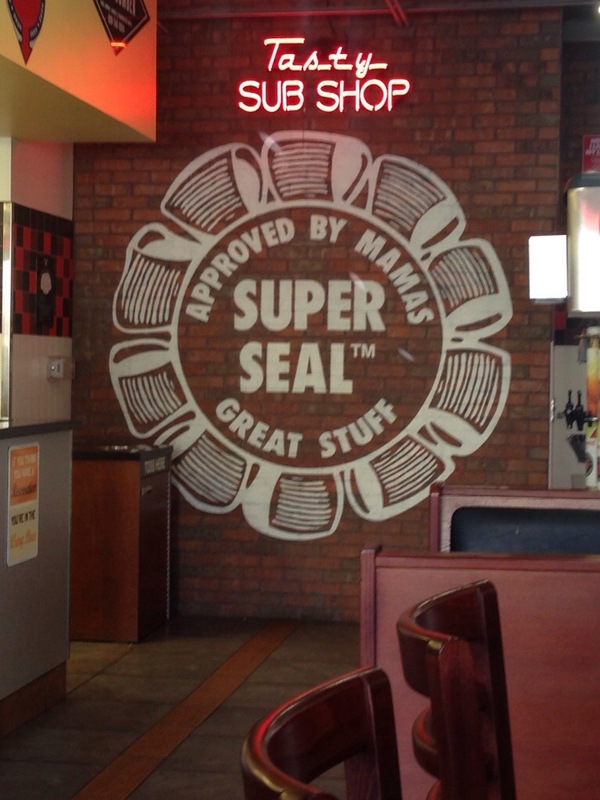 The sandwiches themselves were fine, but nothing more spectacular than most chain sub shops. But they don’t have daily specials, like Subway, so they don’t truly compete on the value front. They do, however, generally deliver, which can be a plus.